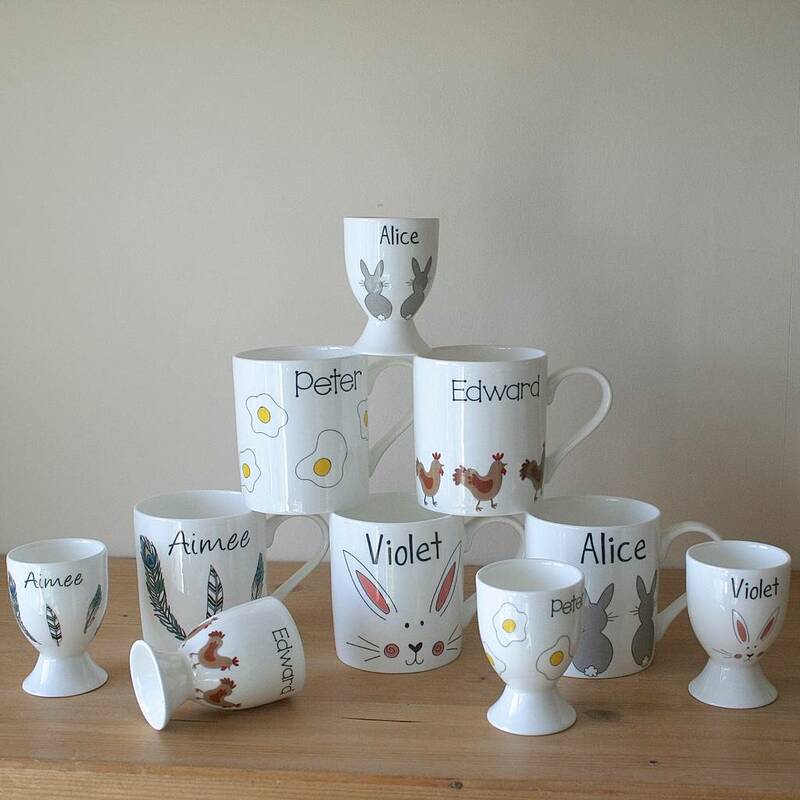 These bone china egg cups and mugs can be personalised with different designs and a name of your choice, the perfect gift for Easter. 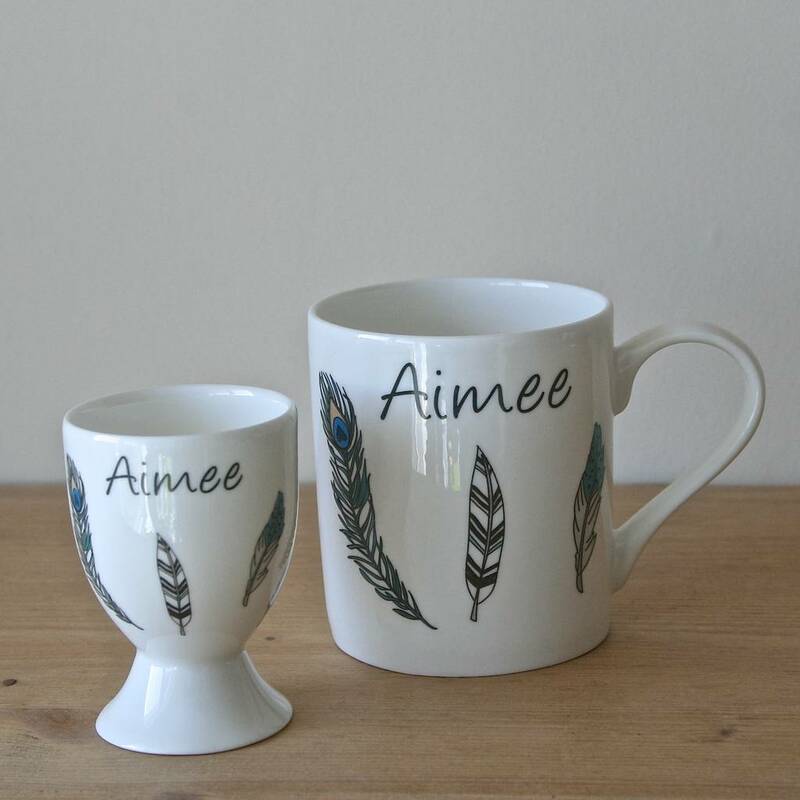 These stunning egg cups and mug sets make ideal gifts for many occasions. 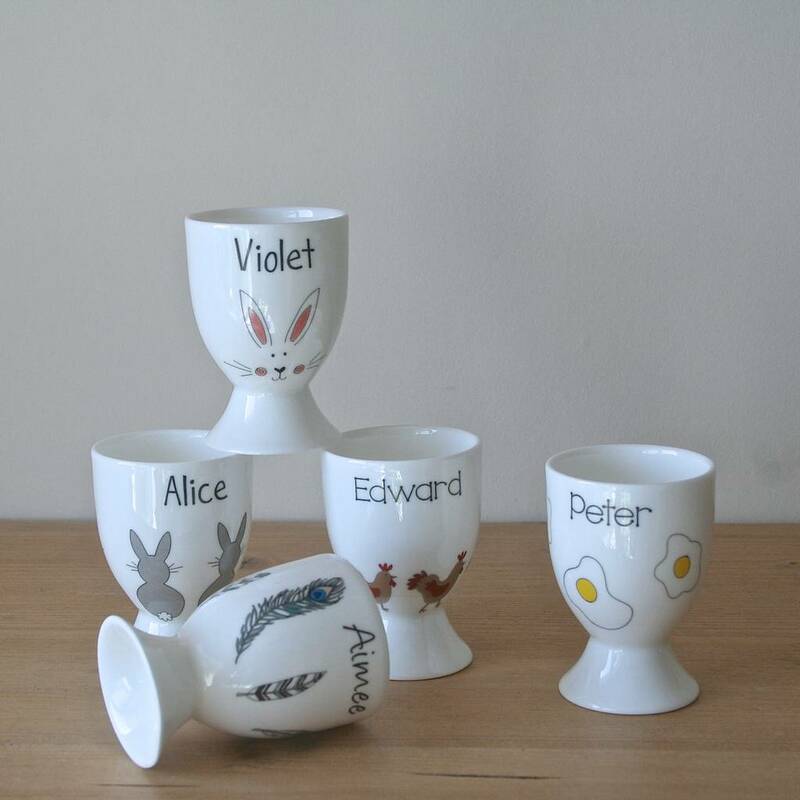 They are especially well suited as gifts for christenings and children's birthdays and also make unique thank you gifts for bridesmaids and page boys or even as unusual place names for your guests at a wedding. With a range of fabulous, hand-drawn designs, we are sure you will find the perfect design to suit whichever occasion you are celebrating. Now featuring our new designs following on from the popularity of our original egg cups and mugs. 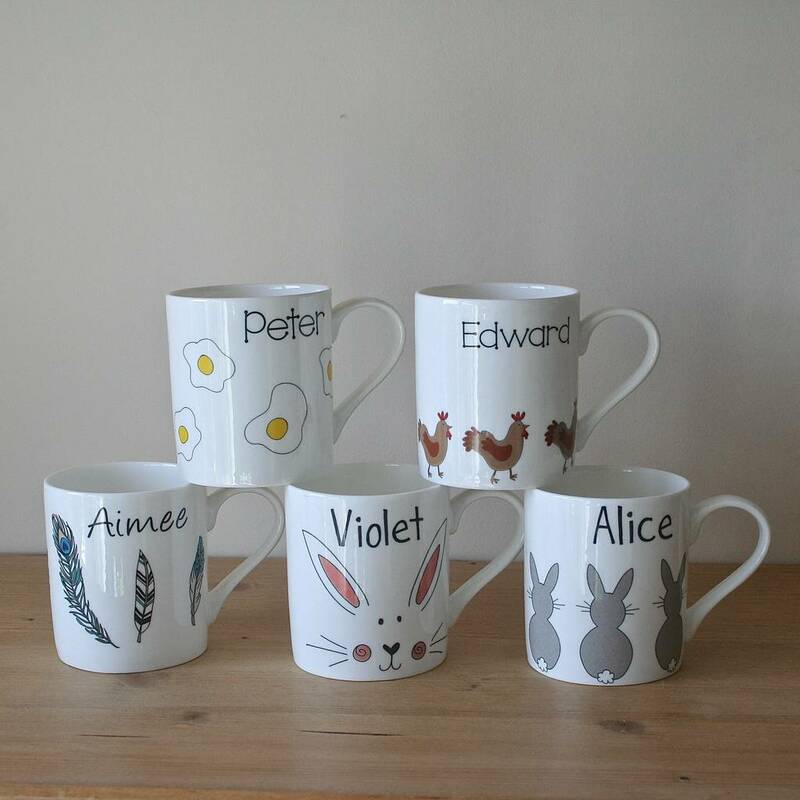 There are five new designs available; Grey bunnies, bunny face, eggs, chickens and feathers. 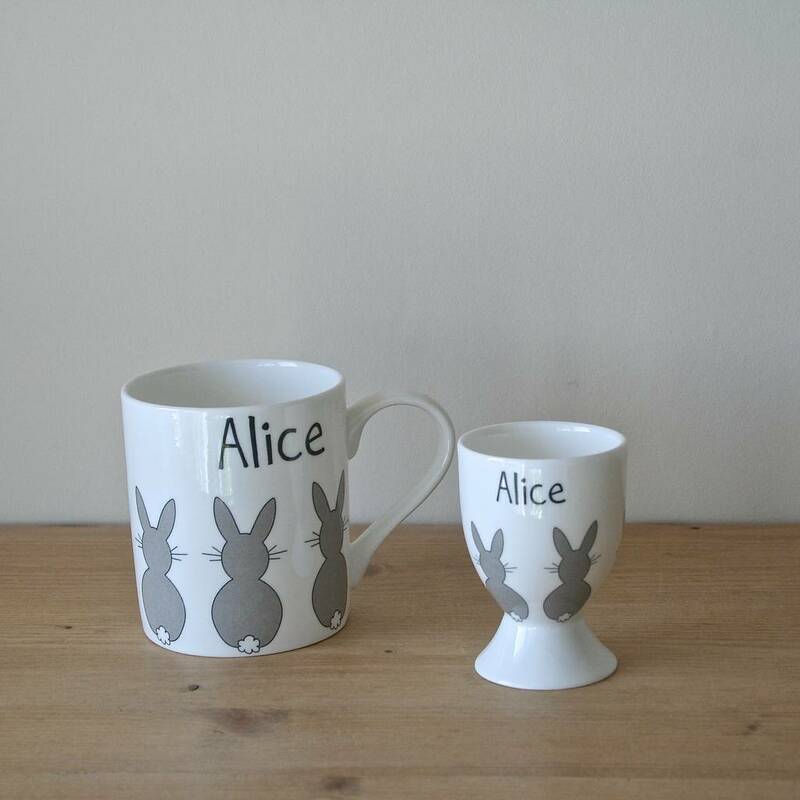 The items available are egg cups, small children's mugs and standard 'adult sized' mugs. They make a lovely set if purchased together. 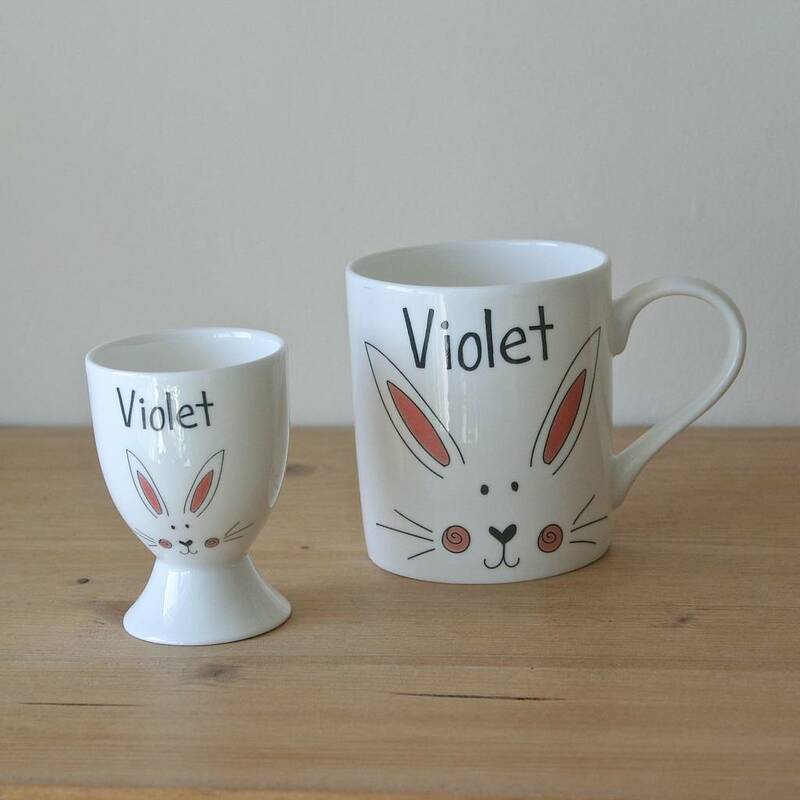 all items can be personalised with a name of your choice and the mugs can also have a message on the base if you wish, for example, 'Happy Birthday, Love Nanny and Grandad x'. 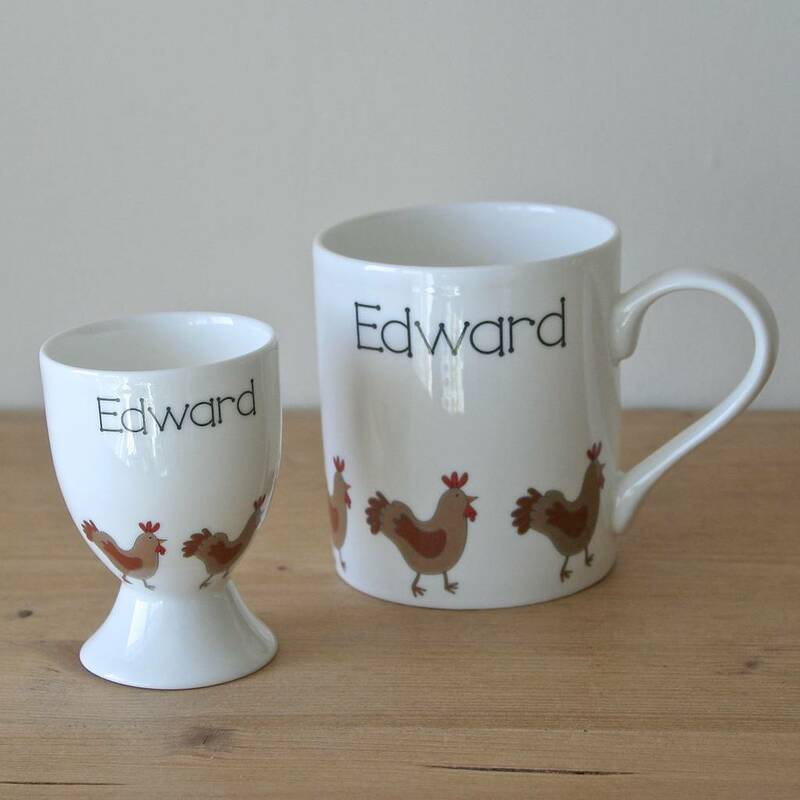 To see our other range of egg cups and mugs please click 'see sellers complete range'. The items are made from bone china. The designs are applied by hand, they are then kiln fired. Adult's Mug Height 9.5cm; Width 8.5cm; Width including handle 12cm.